On Wednesday night at the 2015 ESPYs, Caitlyn Jenner received the Arthur Ashe Courage Award and made a powerful speech about the rights of the transgender community. It has been an honor and a privilege not only to witness her transition to living as her true self, but also to see her work so hard to educate herself and become a fantastic role model for transgender people and a spokesperson for the rights of the entire community. Simply doing the former would have been enough of a triumph for any person, but not for Jenner. And though that's not why she was receiving the Arthur Ashe Award, it is truly courageous. Naturally, considering what a close family she hails from, the Kardashian family is supporting Caitlyn Jenner using social media — you know, in addition to being present at the ESPYs. Even before the award show had truly been underway, the entire family posted the same photograph to their Instagram and Twitter accounts. It shows them all palling around and making faces backstage. Since then, Kylie has tweeted an update of her support of Caitlyn, while Khloe and Kendall have both retweeted things that make it clear that they are as proud of her as they appeared to be last night. There can be no doubt that the rest of the family will follow with words of support in their own time, but in the meantime, it's absolutely sweet to see them all coming together as one unit to be there for Caitlyn. 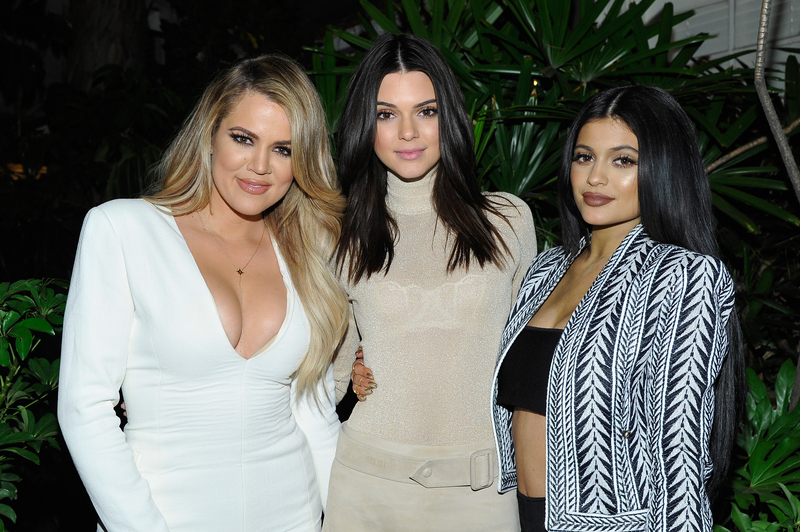 Say what you want about the Kardashian Klan, but they are #SquadGoals to the extreme. Check out their kind tweets and retweets below.